At today’s WWDC Apple confirmed that they will be doing away with Google’s popular map application with their own…and including a much needed feature that has been missing from iOS. The new map interface appears to be very clean and easy to read. The voice navigation will be done by none other than Siri, this being a nice benefit with improvements over the beta version. You’ll now be able to ask Siri to direct you to locations, suggest alternate routes if the traffic is bad, and even give you points along the way to get gas if needed. Apple Maps will also feature Yelp integration, a traffic view, and anonymous real-time crowdsourced incident reports for traffic problems you encounter along the way. 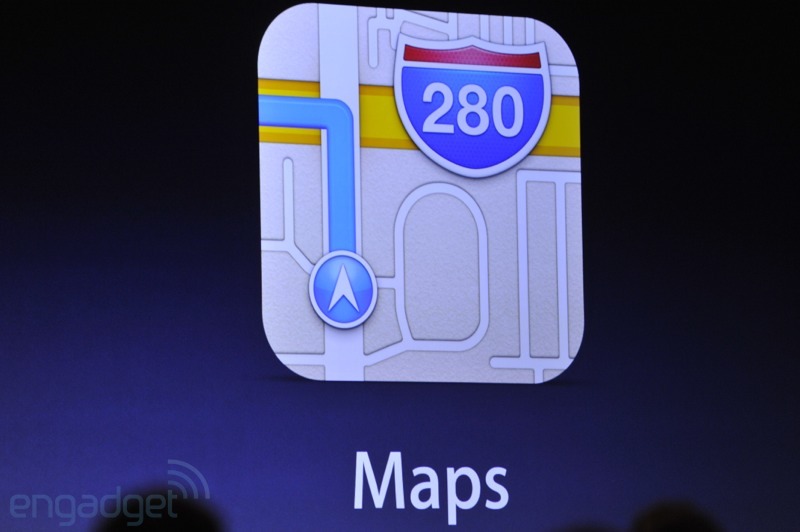 Unlike the rest of iOS 6 the turn by turn and flyover feature will only work with iPhone 4S and newer. I’m personally very excited about this announcement. 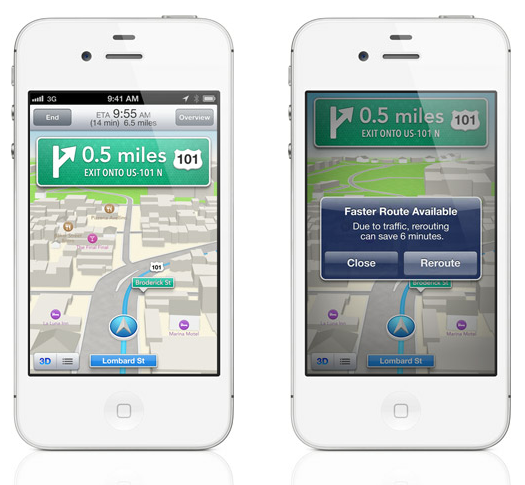 The lack of turn-by-turn navigation was one of the reasons that I was hesitant about switching from Android to iPhone. The one major feature missing with Apple’s new map feature that Google still has the advantage is “Street View”. While I find that useful from time to time it’s not a deal breaker for me.